Let the kids ZIP and PLAY on our Koala Kid Zip! Charleston Zipline Adventures is set on 10 acres of forest in Awendaw, South Carolina located just 15 miles from Historic Downtown Charleston. 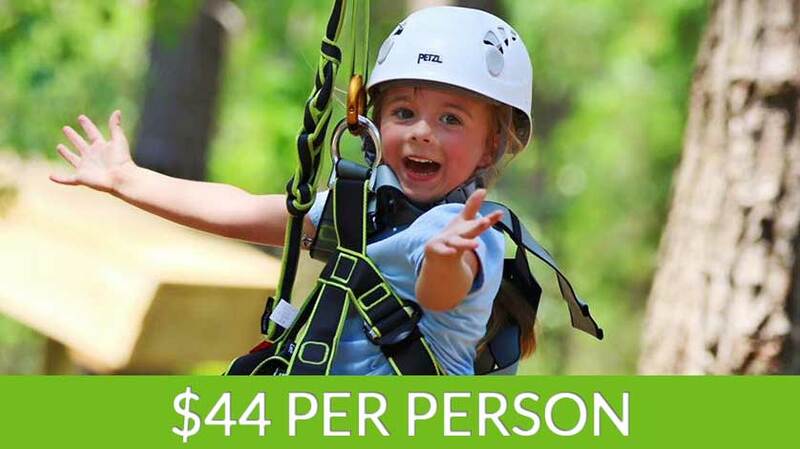 As the only ziplining experience in Charleston, we are so excited to be bringing this unique and exhilarating adventure to the children of the Lowcountry. Our kids zip course is specifically designed for our younger adventurers ages 5-10. Whether your child is zipping for the first time or for the hundredth time, there is truly something for all experience levels on our TWO different zipline circuits. The Kids Zip ranges from 25 feet in height to ground level with one circuit for beginners and one that is a bit more advanced. This makes it easy for your young adventurers to comfortably choose whether they want to ease into the experience or jump right in. Our course is set on a continuous belay system which means once they start the course, they never unclip. This also allows the kids to switch between the two circuits freely! This adventure is the perfect experience for your children. Not only will your little ones be able to challenge themselves on our exhilarating course but they will have dedicated staff monitoring them at all times to ensure all helmets and harnesses are securely fastened, and to make this as fun as possible for your loved ones! Our guides will also take your little ones through ground school before zipping to ensure they understand the basic rules, hand positionings, and safety procedures. Since our attention is dedicated to your young adventures, it gives you the perfect time to take pictures and relax. Our Adventure Center is also a great place to unwind whether you choose to be on the couch inside or sitting on the wrap around porches outside. The Koala Kid Zip was designed in a confined space, so you will always be able to spot your child as they weave through the trees. We have picnic tables set up outside by our Koala Kid Zip for that perfect view of your child soaring. The entire experience is 90 minutes, so your little one can zip through the course as many times as they want during their allotted period. If you’re interested in featuring our Koala Course for your child’s birthday party, then you can learn more about our birthday party packages under the “Groups” tab. Must be a minimum of 5 years of age and weigh at least 40lbs and no more than 180lbs and no more than 5’6”. All participants must submit a release of liability/acknowledgement of risk/participant agreement before starting the any of our activities. For participants under 18 years of age, online liability waiver must be submitted by a parent or legal guardian prior to participation. Link to waiver will be sent in the confirmation email. 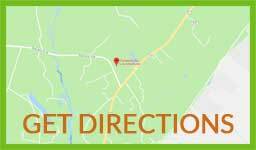 IF YOU DON’T SEE A TOUR TIME THAT SUITS YOUR NEEDS WHEN SEARCHING OUR ONLINE BOOKING SYSTEM, PLEASE CALL US AT 843-928-3947. We may still have availability when you book by phone. Have questions? We have answers! Check out our FAQs.